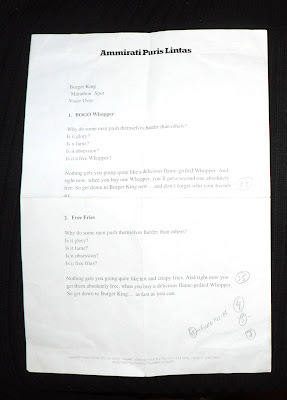 Ad audition script for Burger King. 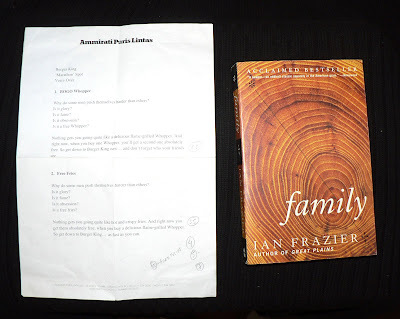 Found in "Family" by Ian Frazier. Published by HarperPerennial, 1995.